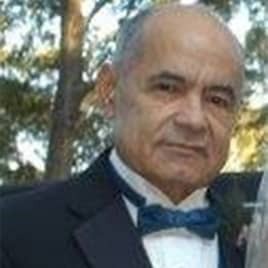 Pablo Gomez, survived by wife Ida, three daughters, and six grandchildren. Died at age 77 in New York. Loving father, husband, brother, and grandfather. He went peacefully to sleep joining his parents and five brothers and sisters waiting at heaven’s gate. Rosary services will be held after cremation in his homeland of Puerto Rico, at Carr. 2, Aquadilla, Puerto Rico 00605 at 10:00 a.m. (no viewing).Memorial Service and celebration of life will be held in Florida on October 1, 2016 at 1:00 p.m.
Prayers to Ida and the girls during this sad time. He will be missed. Healgrief has a memorial to share with you. https://healgrief.org/pablo-gonzalez-gomez/ We invite you to express condolences, share special memories and photos and light virtual candles to honor and celebrate the life of our loved one. We also invite you to share this with others who may want to be notified as well. You may do so by sharing the link or by clicking the “Share this Memorial” button from within the memorial itself.